Far infrared reflectivity spectra of sintered Pb0.9Sn0.1Te doped with 0.2 and 2 at.% Pd are measured. The experimental results are analyzed using a fitting procedure based on a modified plasmon-phonon interaction model. The values of calculated parameters are compared with literature data for PbTe and PbSnTe single crystal samples doped with palladium and nickel, with the purpose of determining whether the sintered samples can be used in different devices instead of single crystals. 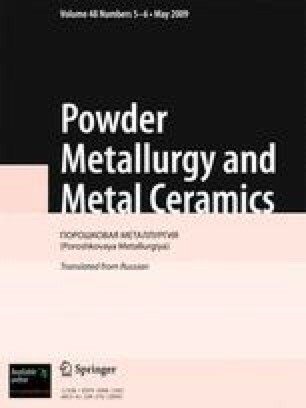 Published in Poroshkovaya Metallurgiya, Vol. 48, No. 5–6 (467), pp. 133–138, 2009.